Orthodontic treatments restore alignment and occlusion of your teeth to give you the smile you deserve. It is a specialty of dentistry that focuses on the diagnosis, interception and treatment of dental malocclusions. And keep in mind that orthodontics is for people of all ages. It’s never too late to correct your smile! The ORTHODONTIST is a highly skilled specialist with expertise in aligning and coordinating teeth and jaws. The initial consultation is an appointment that lasts approximately 60 minutes. 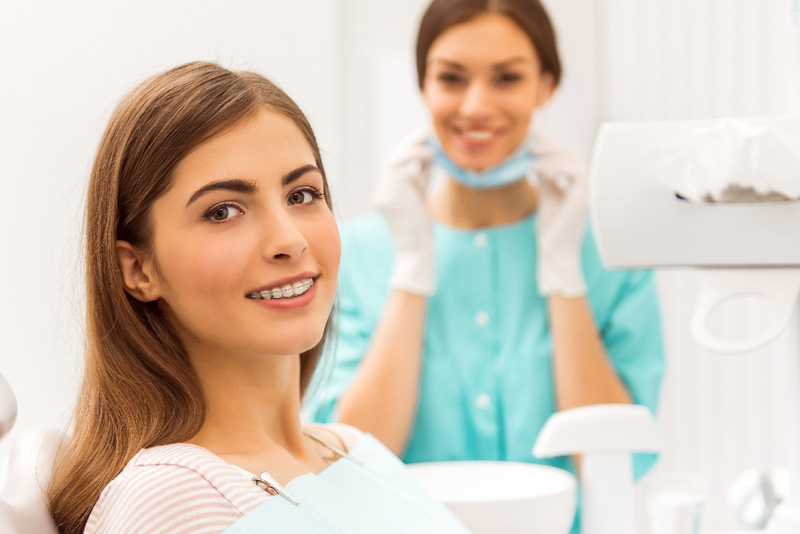 During this visit, Dr. Rizkallah will make a thorough review of your medical history and discuss your goals and expectations regarding the treatment of orthodontics. discussion of the possibility of collaborating with other dental specialists. presentation of the cost of the treatment and the different payment methods. Our patients too young to begin orthodontic treatment will be placed on a recall list. This will permit Dr. Rizkallah to follow up with their growth and tooth development. This service, which is usually offered free of charge, will allow us to get better acquainted to your child’s specific needs and thus facilitate an easier transition when it is time to start treatment. A report of your visit accompanied by a copy of the radiograph will be sent to your dentist.